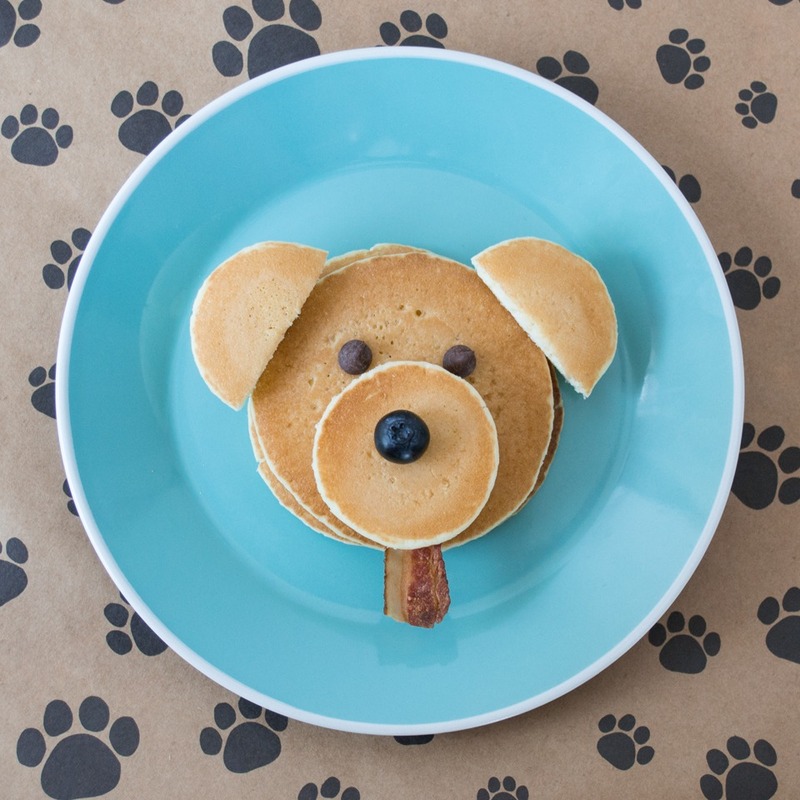 Honor the family pet with this playful Puppy Pancake! All you need are a couple of ingredients and a few minutes to make man's best friend. First, heat pancakes in the microwave according to package instructions. While pancakes cool, cook bacon according to packaging instructions. Place the stack of Buttermilk Pancakes on a plate with one Mini Pancake on top for the snout. Cut the other mini in half and place on either side to create your puppy’s perky ears. Add the blueberry nose, chocolate chip eyes, and last but not least, the bacon tongue sticking out! Now that wasn’t so “ruff” was it?